Even before the national recession, state economists had been concerned about declining incomes in Indiana for more than a decade. More recently, Indiana University economist Timothy Slaper conducted a study in 2010 that determined the state’s wage gap exists almost entirely due to the inadequate amount of higher-wage occupations in Indiana. In order to remedy this situation, Indiana governor Mitch Daniels made education reform the focus of his term as governor. With better education, Indiana will have more people capable of obtaining higher-wage jobs. Now more than ever before, Indiana looks to its teachers. What’s the education climate in Indiana? How’s the job outlook for Indiana teachers? What benefits do Indiana teachers have? 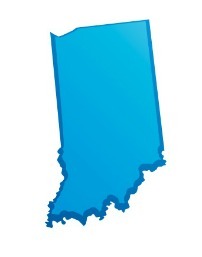 What are the credentialing requirements in Indiana? Indiana has implemented significant reforms in the past two years to improve educational conditions in the state. In 2012, Governor Daniels and State Superintendent Tony Bennett together advanced several different initiatives—some of which have already been enacted, others of which are still being debated. Instead of giving teachers raises based upon number of years spent teaching or amount of extra education, raises are awarded based upon performance. A teacher rated ineffective is prohibited from receiving a raise, and a teacher who remains ineffective for two years is fired. Additionally, students whose teachers are rated ineffective are guaranteed placement with higher-rated teachers in their next school year, so that no student is unfortunate enough to have two ineffective teachers in consecutive years. In addition, families which qualify for federal free or reduced lunch (for example, a family of four with an annual income of less than $40,800) are awarded up to $4,500 per student toward either private schooling or home schooling. This act gives low-income families the means to withdraw their children from low-performing schools in search of better education. It also gives low-performing schools an increased incentive to improve. Students capable of graduating high school early can also earn scholarships up to $4,000 for college education, as the state applies the funds that would be spent on their unneeded last semester of high school toward higher education. Another initiative increases the ability of colleges and universities to open and operate charter schools. It also allows for a traditional school to be converted to a charter school if 51 percent of parents petition for it. In order for a charter school to operate, at least 90 percent of its teachers must possess an Indiana teaching license. Indiana has also joined several other states in implementing changes to the collective bargaining process, limiting it to matters of teacher pay (as opposed to including things like school schedules). This reform also establishes a process for fact-finding, and promotes right-to-work for teachers who do not wish to participate in a strike. The demand for teachers in Indiana is high—particularly for elementary school teachers. In fact, the Indiana Department of Workforce Development reports that elementary-school teaching is the second-fastest growing occupation in Indiana (the fastest being nursing). Nearly all education majors from Indiana colleges and universities get a teaching job within a year of graduation. Also among the top five fastest-growing jobs in Indiana is postsecondary teaching. Middle school and high school teaching is not growing quite as fast; but there is a particular need for more math, science, and special education teachers at these levels. Most of the increase in demand for elementary school teachers is due to population growth in the state. This means that in a few years, as the increased number of elementary students advance to middle school, and then high school, those schools will also experience increased growth. Teacher benefit packages include health, dental, vision, and life insurance. Teachers may also purchase additional accident and/or life insurance through their schools. They may also choose to participate in a Catastrophic Illness Bank, to cover situations that would go beyond the usual sick-time allowances. Indiana teachers also get a substantial retirement benefit, and are enrolled in the Indiana State Teachers’ Retirement Fund (TRF). At retirement, this benefit comes in two parts: a pension (vested after 10 years service), based upon number of years of service and the five years of highest pay for the teacher; and an annuity savings account, consisting of both mandatory and voluntary contributions. Indiana teachers may retire at the age of 65 after 10 years’ service, in order to collect the full pension amount; or they may retire earlier, at 60, if they have taught in Indiana for at least 15 years. If a teacher retires before the age of 60, the pension amount is reduced. A teacher who retires a full decade early, at the age of 50, will receive only 44 percent of the full pension amount. Those who choose to continue teaching even at age 70 begin to collect a pension in addition to their teaching salary, with no penalty. Several organizations in Indiana (seen to the right) are devoted to teacher development, and to providing educational resources to Indiana teachers. These organizations often publish and discuss research on teaching programs and techniques, and often offer classroom activities or curriculum supplements to improve teachers’ classrooms. Unlike some states, teachers in Indiana do not have to join a teachers’ union as a condition of employment. Neither do they have to pay dues to a union that represents the majority of other teachers at their school. All teachers in Indiana public schools must possess at least a bachelor’s degree and have completed an accredited teacher preparation program (which may or may not involve a graduate degree). Those who wish to teach elementary school can either major in education with a minor in a content area, or major in a content area with a minor in education. High school teachers must major in their content area, with a minor in education. All accredited teacher preparation programs will include a period of field experience, or internship, under the supervision of a master teacher. Additionally, Indiana teachers must pass the Praxis II exam appropriate to their subject or grade level. Explore additional information about teaching certification requirements in Indiana.